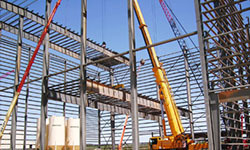 specialty-contracting - BSE INDUSTRIAL CONTRACTORS, INC.
To complete this project BSE was faced with many extreme difficulties. 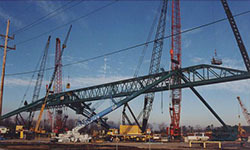 First among these was the fact that a crane could not be used without removing the roof of the vessel housing facility. 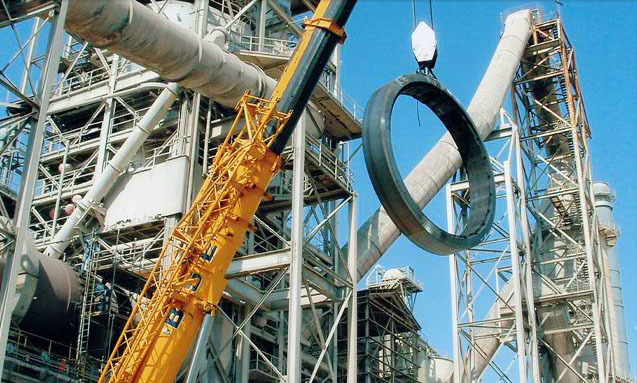 Time constraints were also a factor, as an extended outage was not a possibility. Keeping this project within budget was another concern, as any disassembly of the housing would be cost prohibitive. 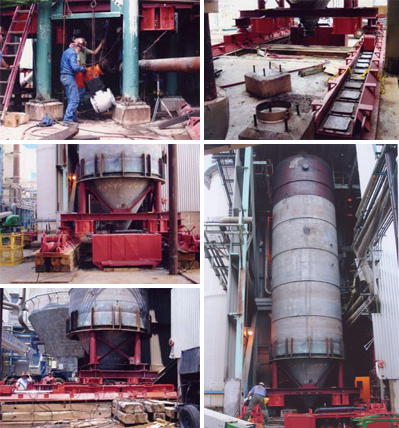 Keeping these issues in mind, BSE devised a plan using only a Hydraulic Ram System with Teflon pads for removal and replacement. 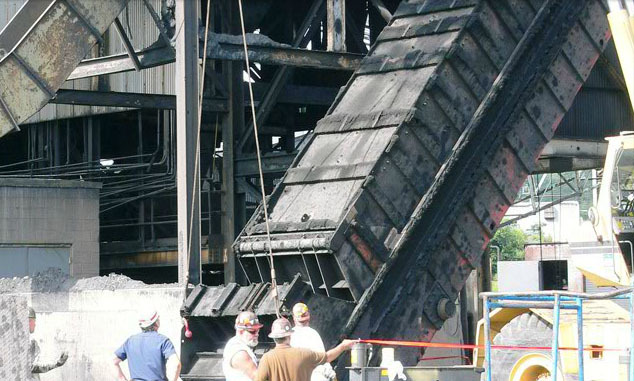 The vessel was 60’ tall and weighed approximately 160,000 pounds. Pictured here: BSE removing two bays of structural steel roof to install a 300-ton overhead crane. 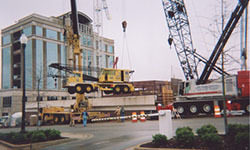 This operation was made in one lift, as the crane had been pre-assembled before placement. 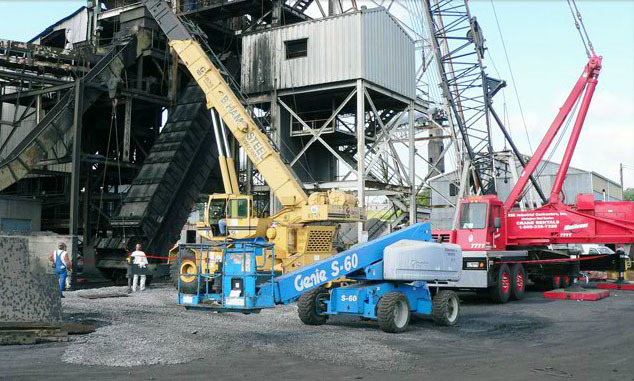 Utilized in the lift was one 4100 Series 3, 300-ton Ringer, two 165-ton Lorain truck cranes and one 200-ton Hydraulic DMAG truck crane. 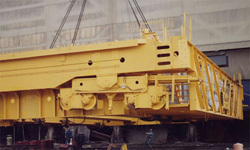 The approximate weight of this lift was in excess of 500,000 lbs.